As a California tree injury attorney, I know that trees can be beautiful and provide shade but, if not properly trimmed and maintained, they can be deadly. It only takes a split second for a heavy trunk, limb or branch to come crashing down on an unsuspecting bystander who may be under the tree as a pedestrian, getting into their vehicle on the street, in a park or other recreational setting and cause serious injury or death. 833. Trees whose trunks stand wholly upon the land of one owner belong exclusively to him, although their roots grow into the land of another. 834. Trees whose trunks stand partly on the land of two or more coterminous owners, belong to them in common. A person who [owns/leases/occupies/controls] property is negligent if he or she fails to use reasonable care to keep the property in a reasonably safe condition. A person who [owns/leases/occupies/ controls] property must use reasonable care to discover any unsafe conditions and to repair, replace, or give adequate warning of anything that could be reasonably expected to harm others. This places a legal responsibility on those who either own or control public or private land to inspect trees and provide proper maintenance such as trimming or even cutting down dead or rotten wooded areas if they would pose a risk of harm to others. In addition to the property owners, persons or businesses in charge of maintaining the landscape of the property may also be found liable if they failed to act competently in landscaping the grounds under a duty provided by their contract of employment with the landowner. In order to prove liability on the part of the property owner for these claims, it must be shown that the person who owned or controlled the property either knew or should have known that the trees created a dangerous condition. Oftentimes, this requires investigation into many factors including how and when the tree in question was trimmed last, whether rot had set into the plant, the legal ownership of the land in which the trunk of the tree lies and many other issues. It may also be necessary to retain the services of experts such as arborists, property managers or other specialists. It is always best to retain a lawyer who is familiar with these types of claims and with the laws of the State of California with respect to property dangers. 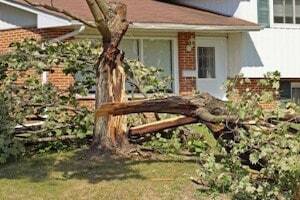 Call our toll free California tree accident and injury helpline at 866-966-5240!